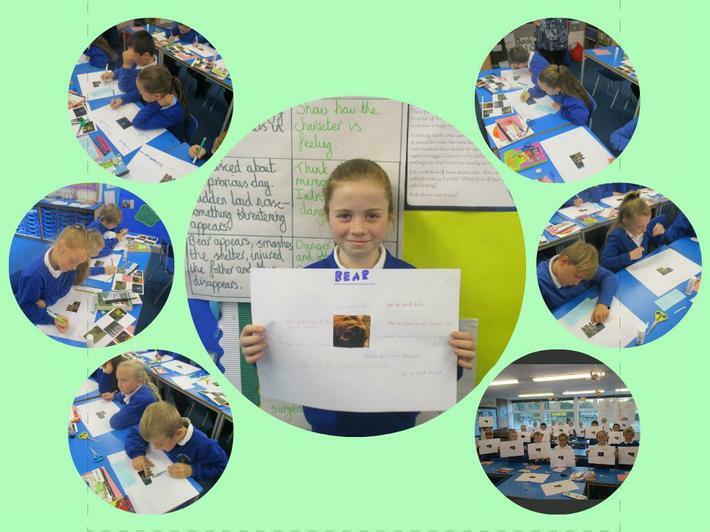 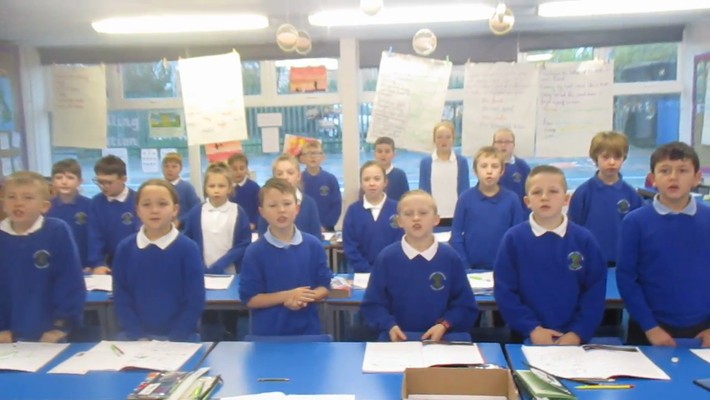 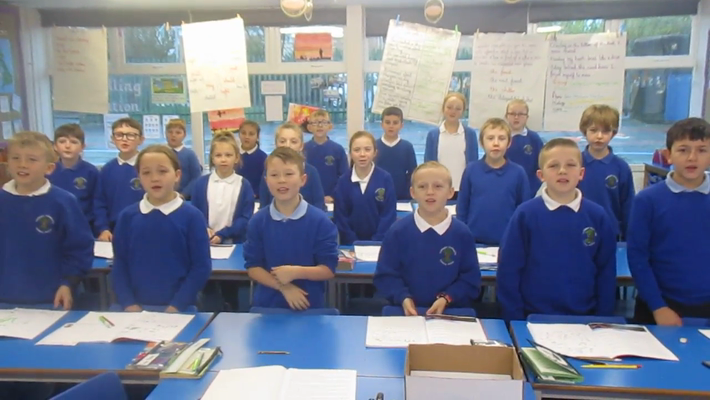 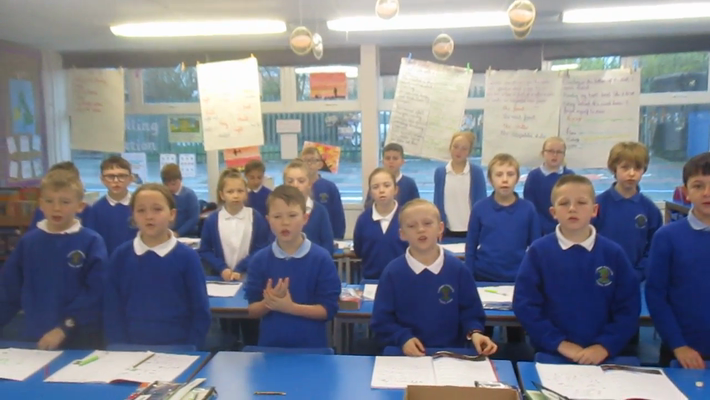 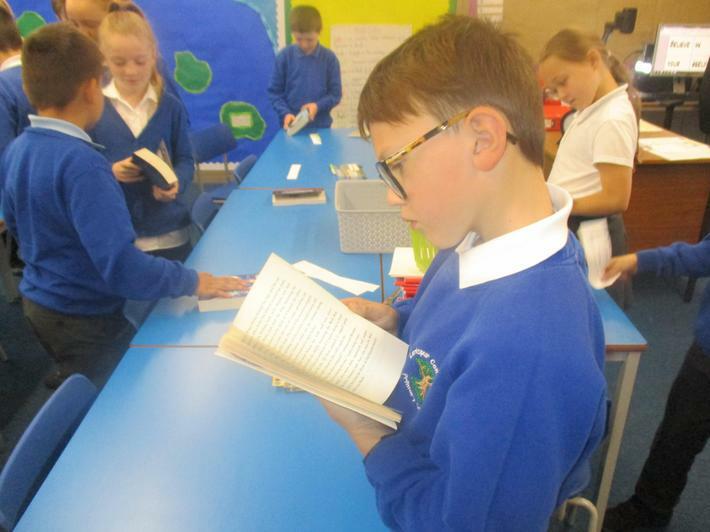 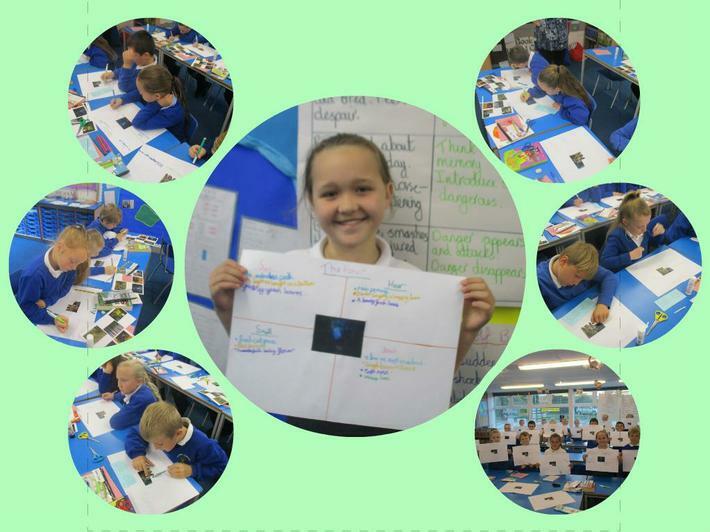 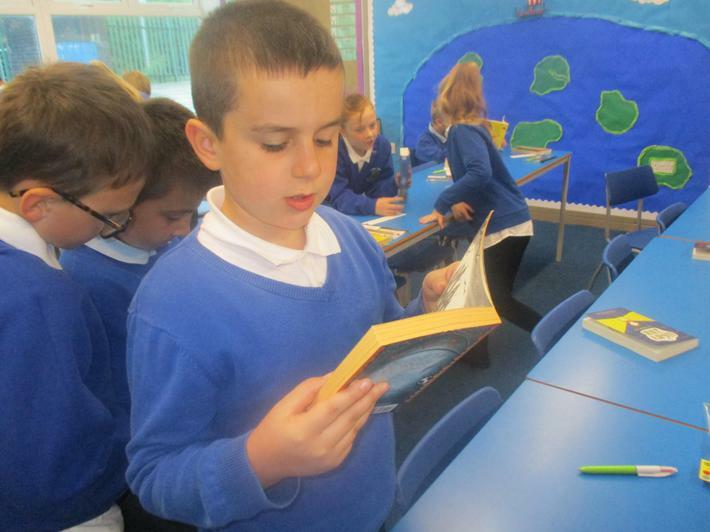 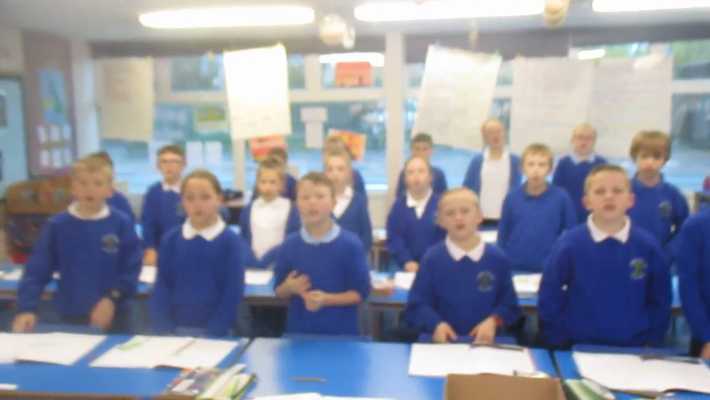 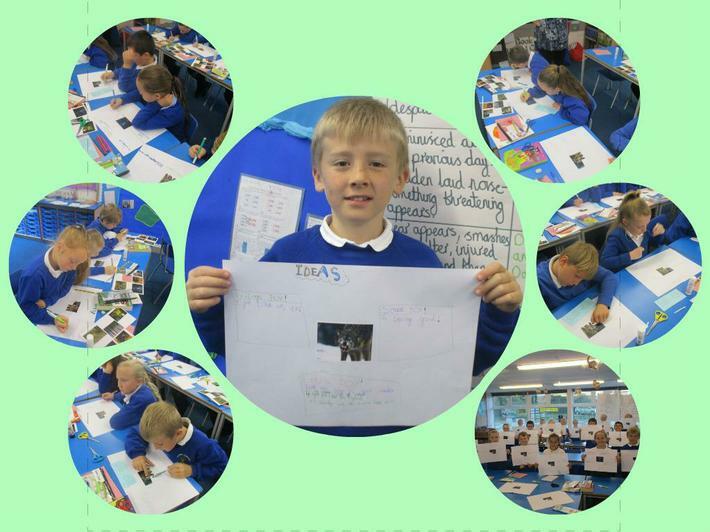 Watch Year 5 retell parts of The Old Quarry suspense story they have been learning to retell. 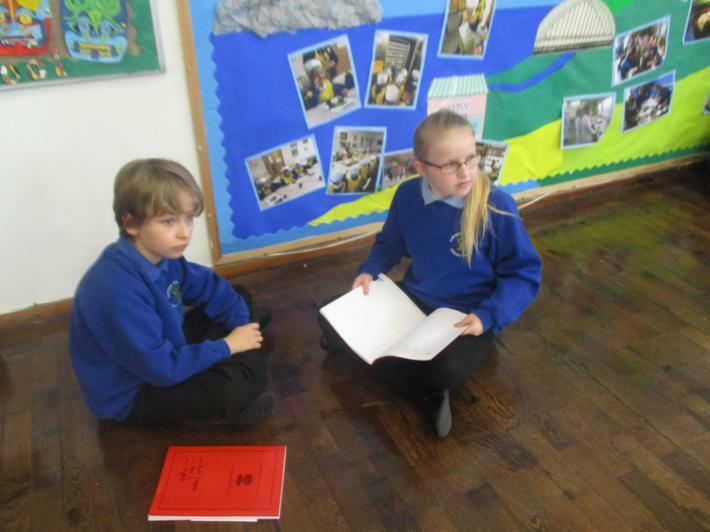 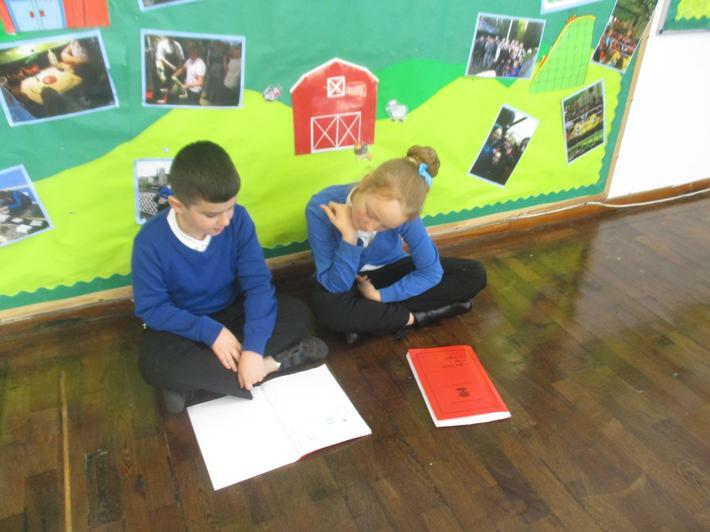 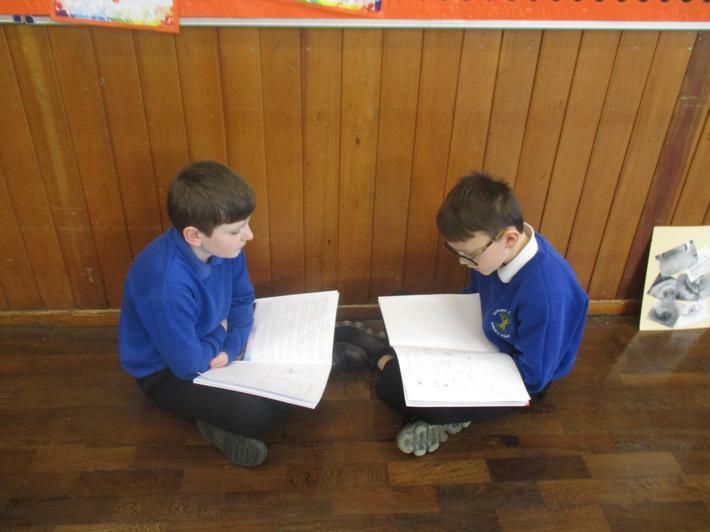 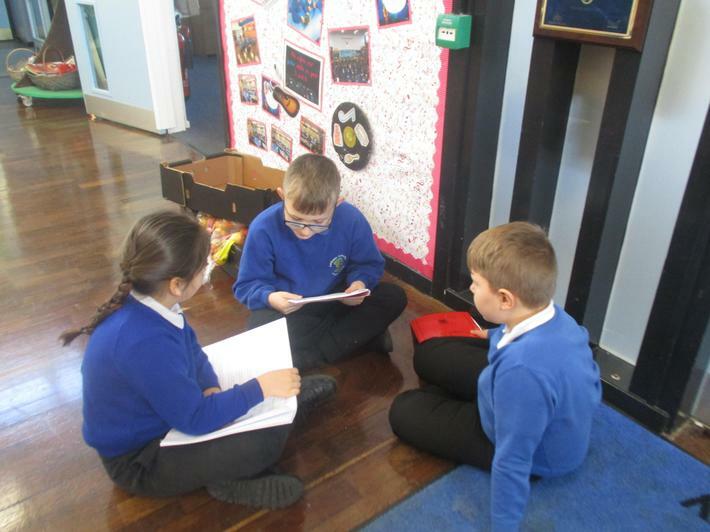 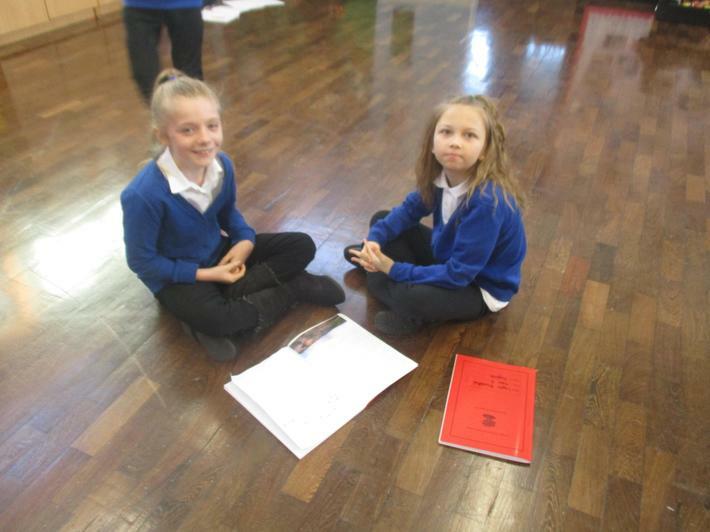 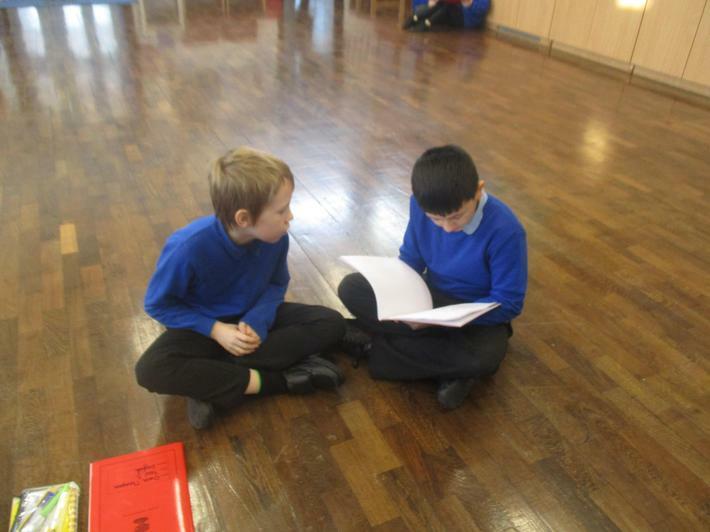 Year 5 have been working in pairs to help each other learn to retell the story of The Old Quarry. Year 5 love to use pen torches to help with their editing. 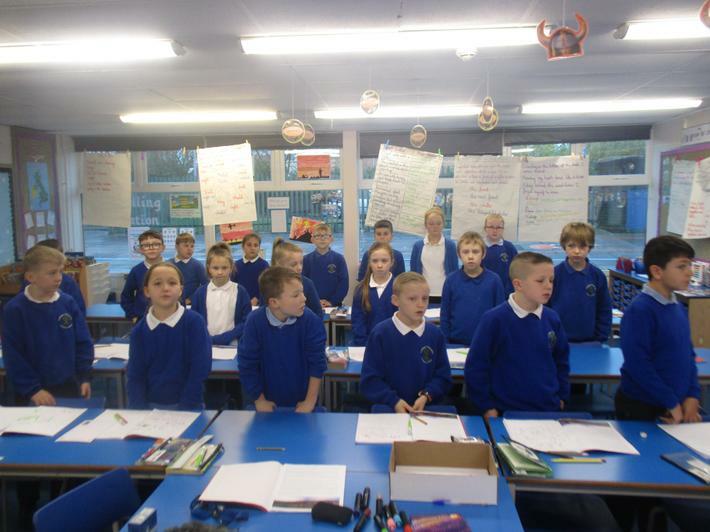 As a class we look at one area to focus on and then they have their turn. 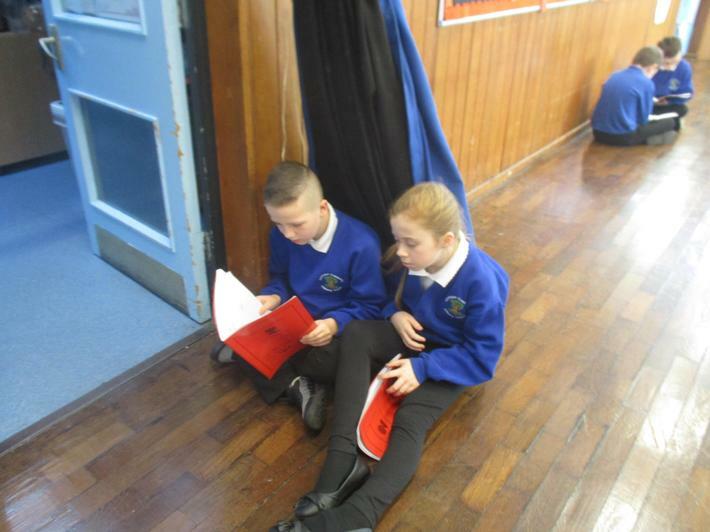 Listening to relaxing music and having the lights turned off helps them to relax and concentrate on the editing task. 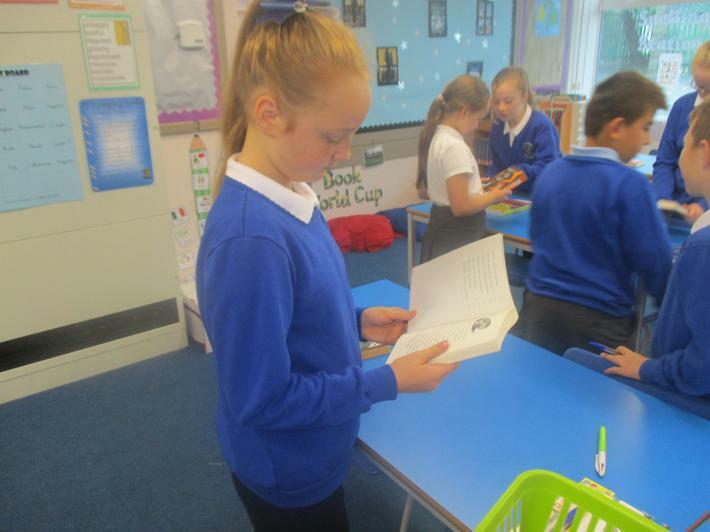 We held a Book World Cup in class. 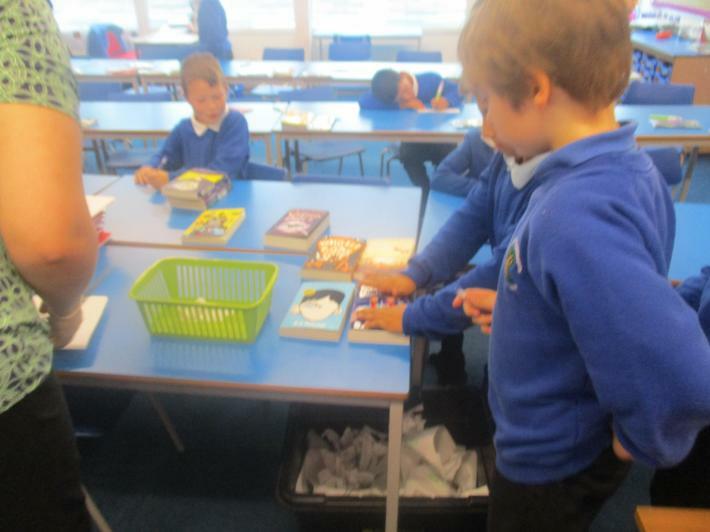 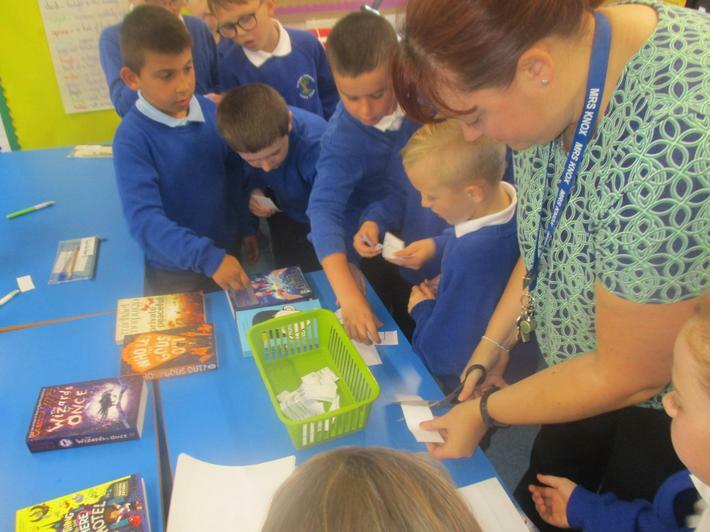 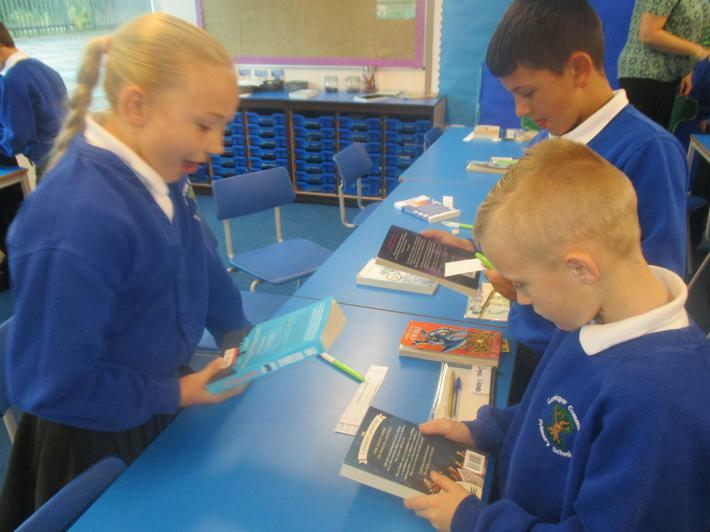 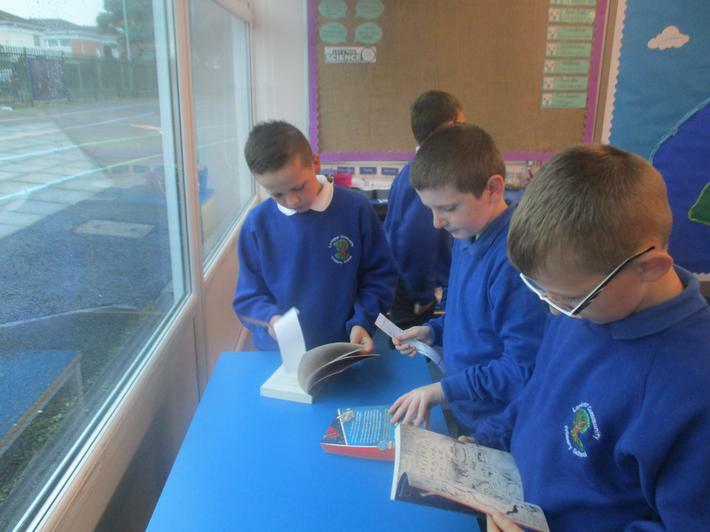 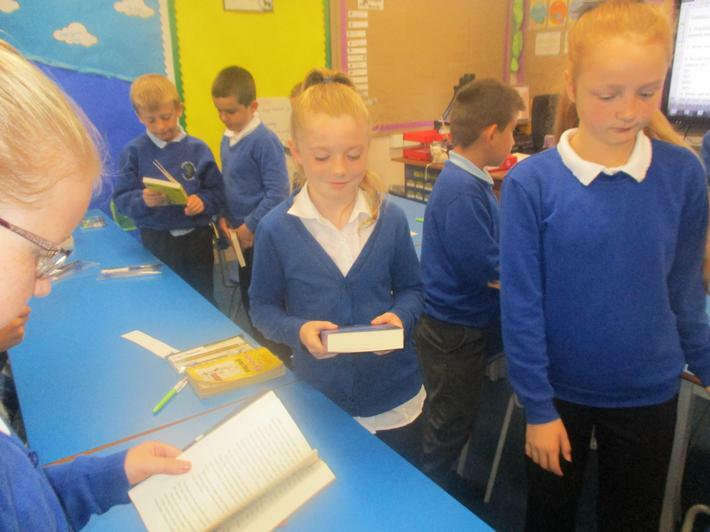 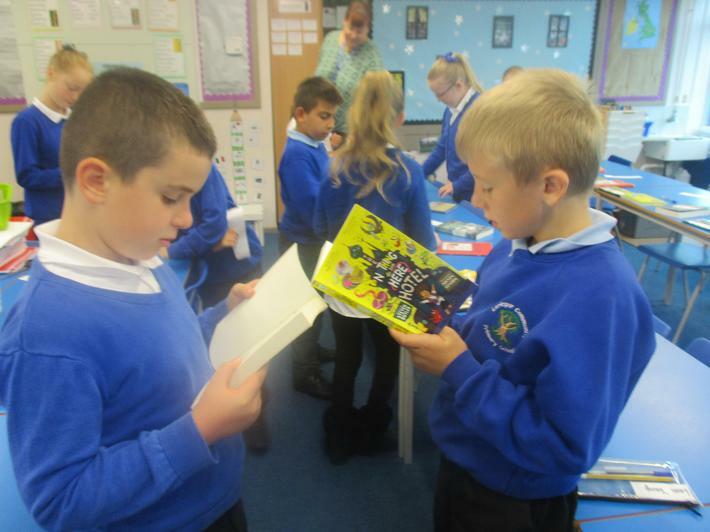 It was very exciting to see which books made it through each round. 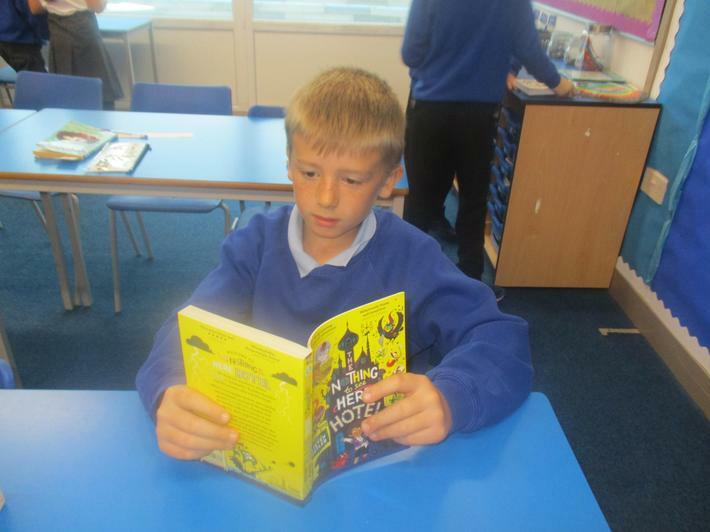 The two books in the final were Nevermoor and Room 13. 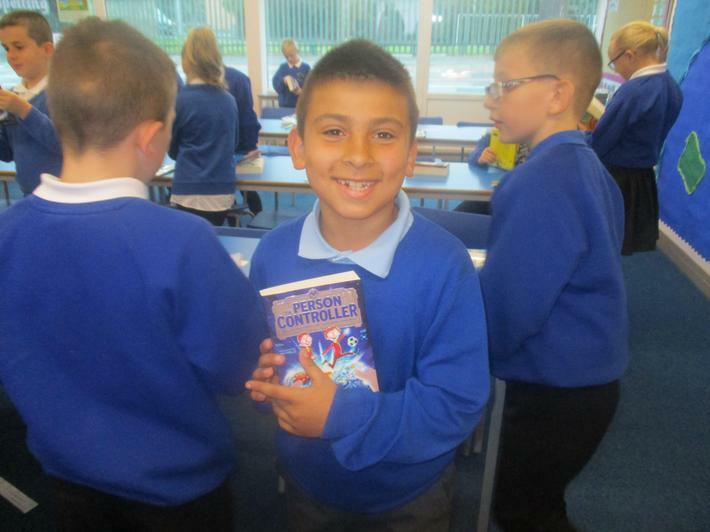 After an intense battle Room 13 was the Year 5 Book World Cup winner. 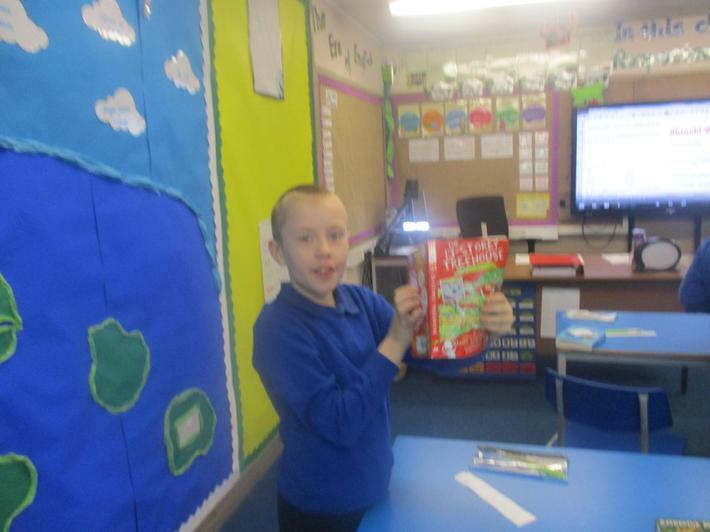 We are very excited to read it. 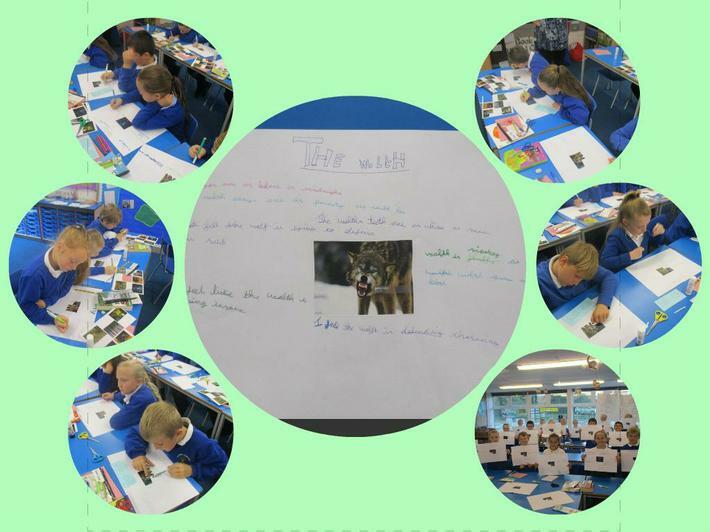 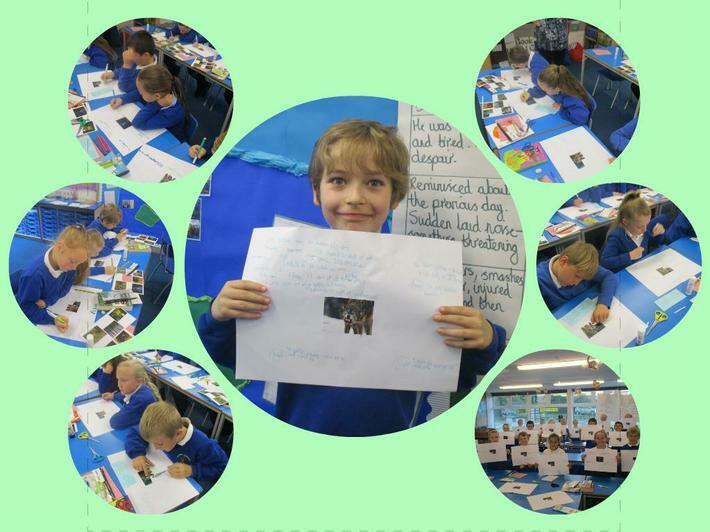 Year 5 have used the setting from Wolf Brother to inspire descriptive writing about a forest. 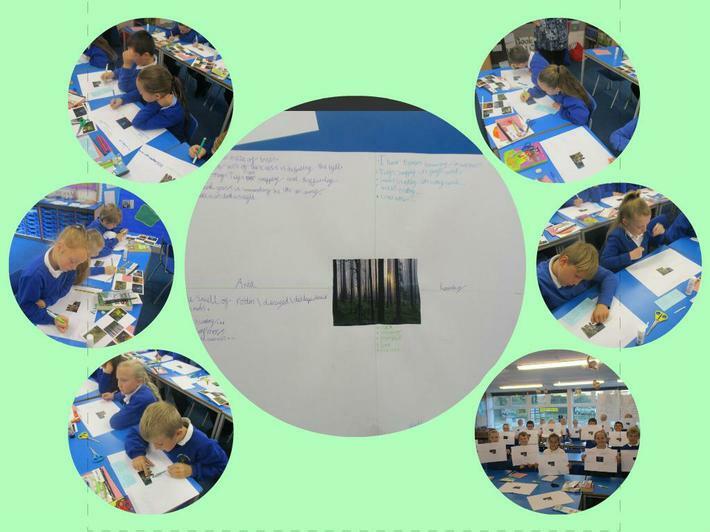 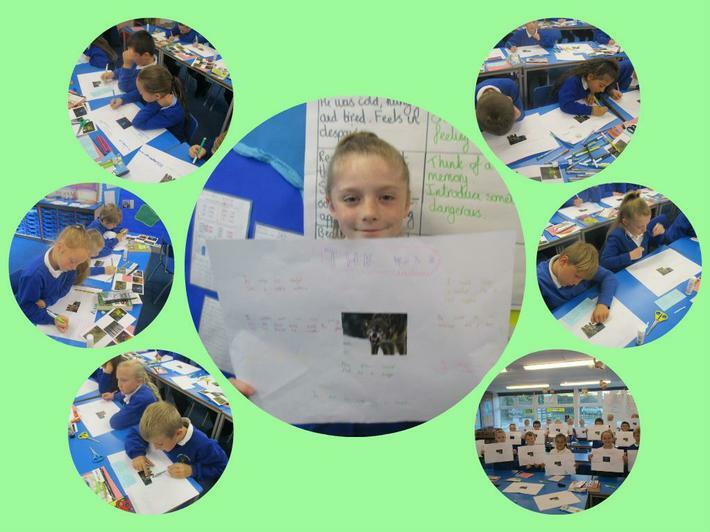 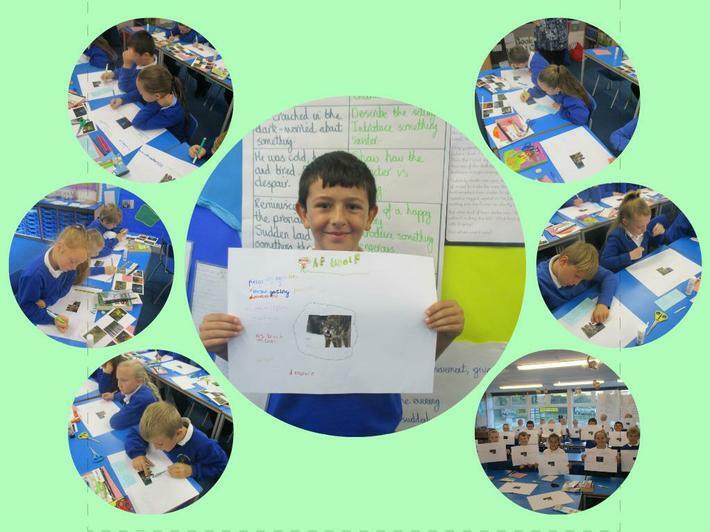 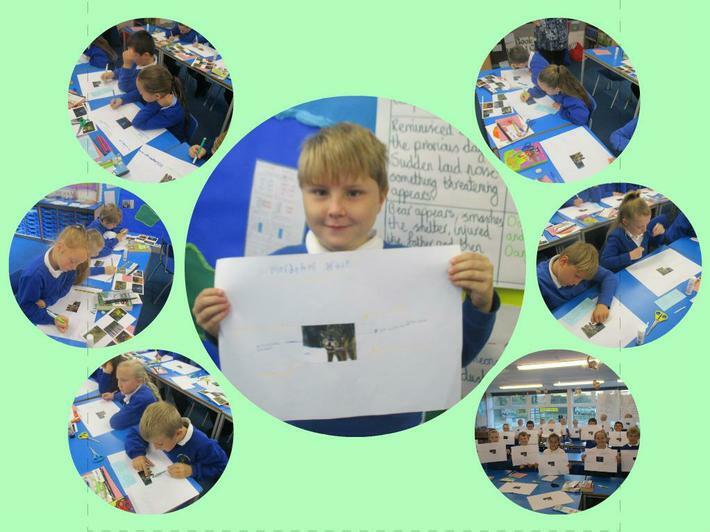 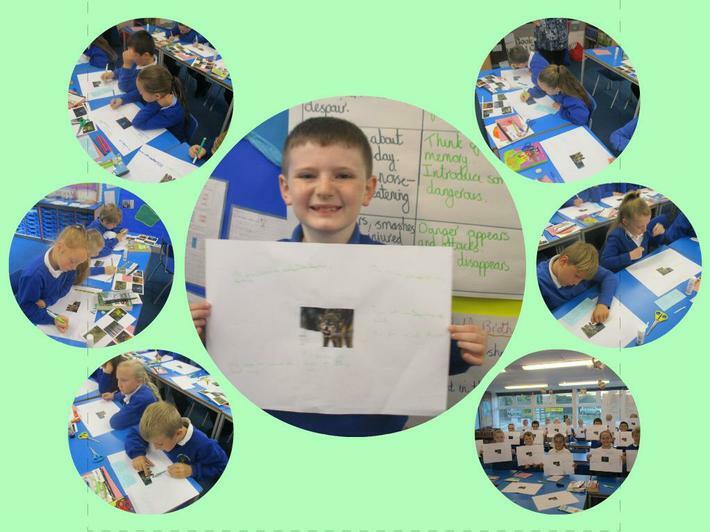 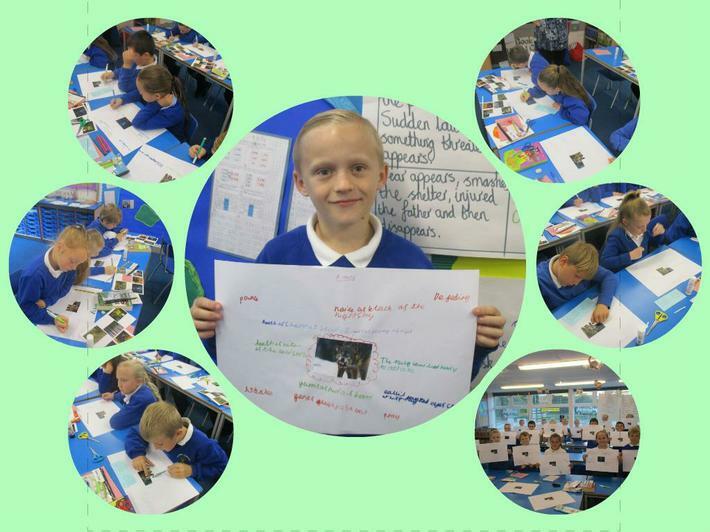 After sharing ideas the class produced a description about the forest. 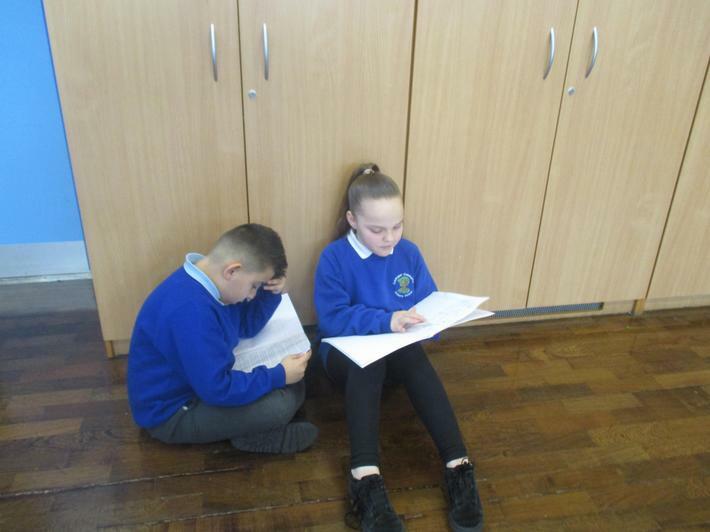 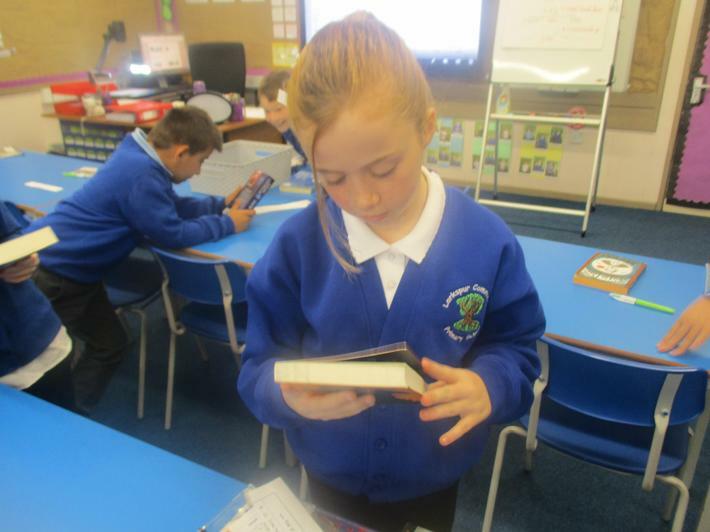 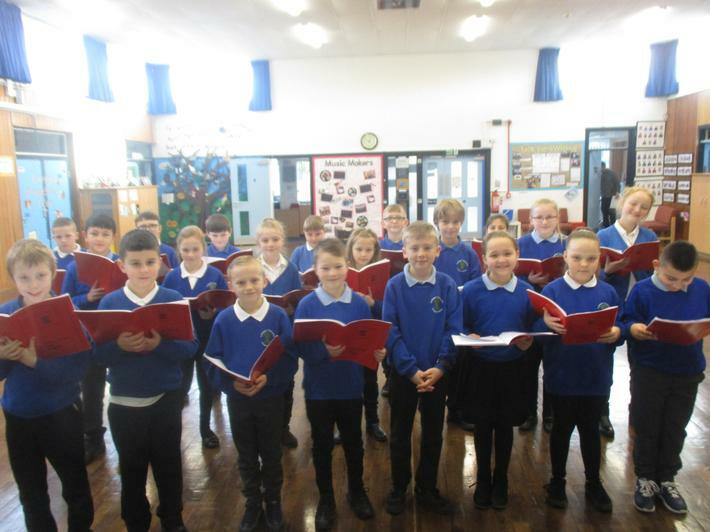 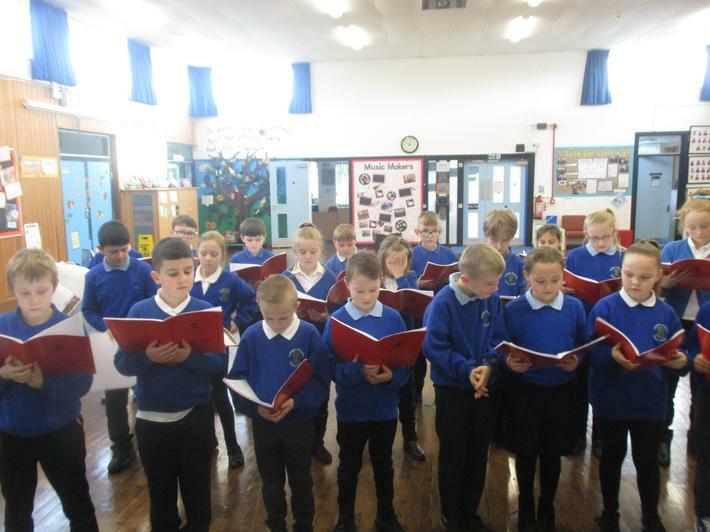 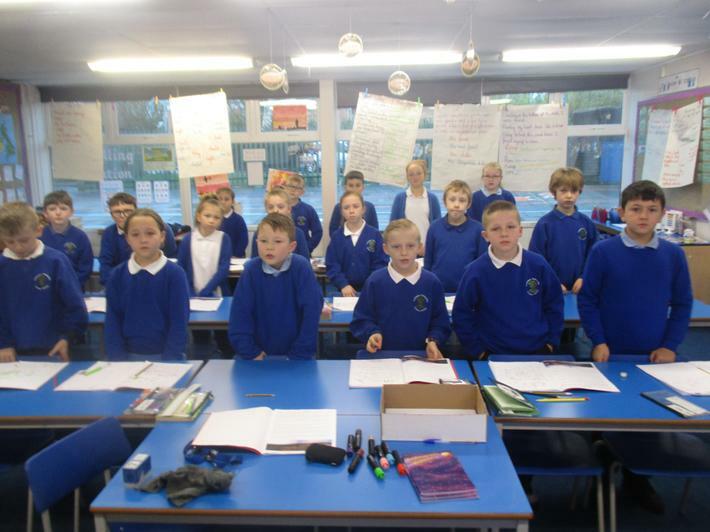 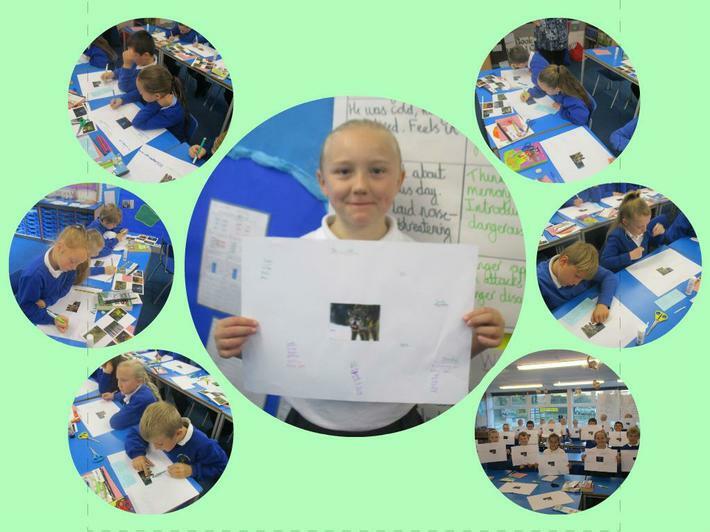 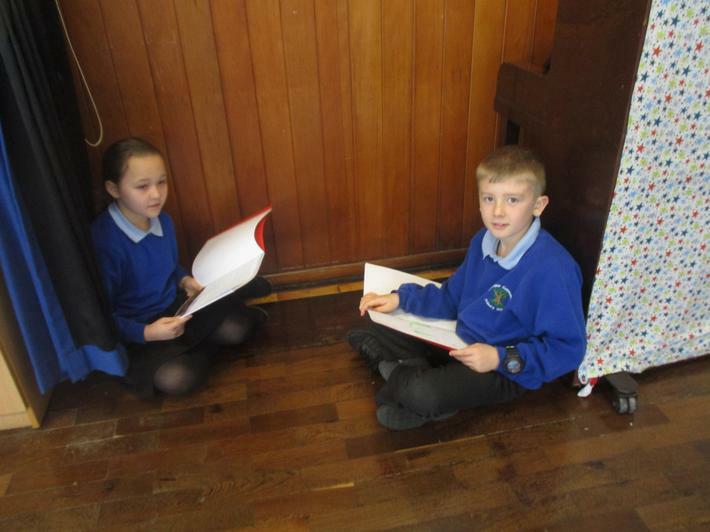 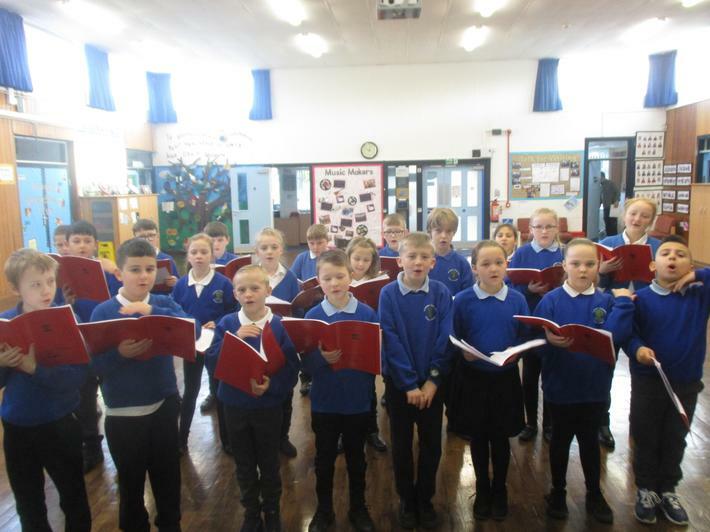 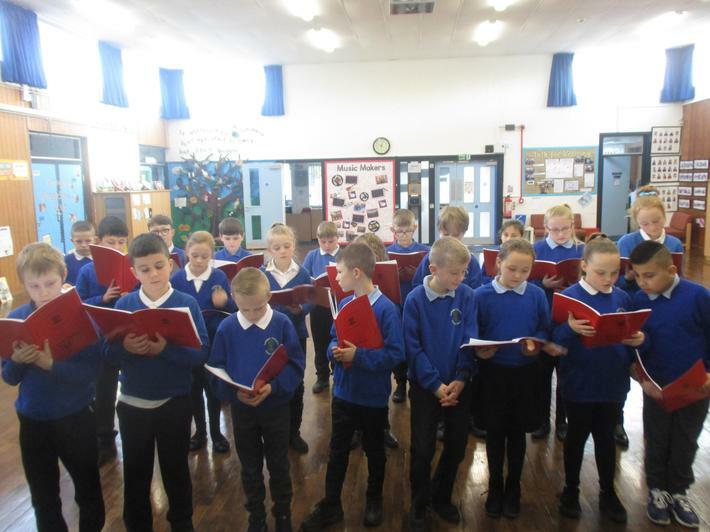 There were a few pupils who were keen to read their writing aloud to the class.